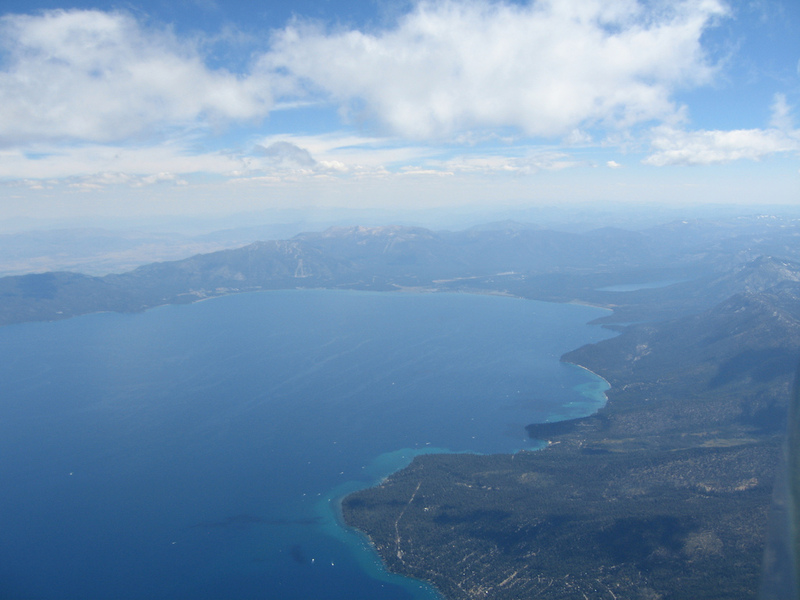 South Lake Tahoe is located on the Stateline of Nevada and California with casinos on one side (Nevada) and everything else you would want in a vacation on the other (California). While the California Side offers the Lake Tahoe Airport, which is located directly in South Lake Tahoe, this airport services only helicopters and chartered/private aircraft. 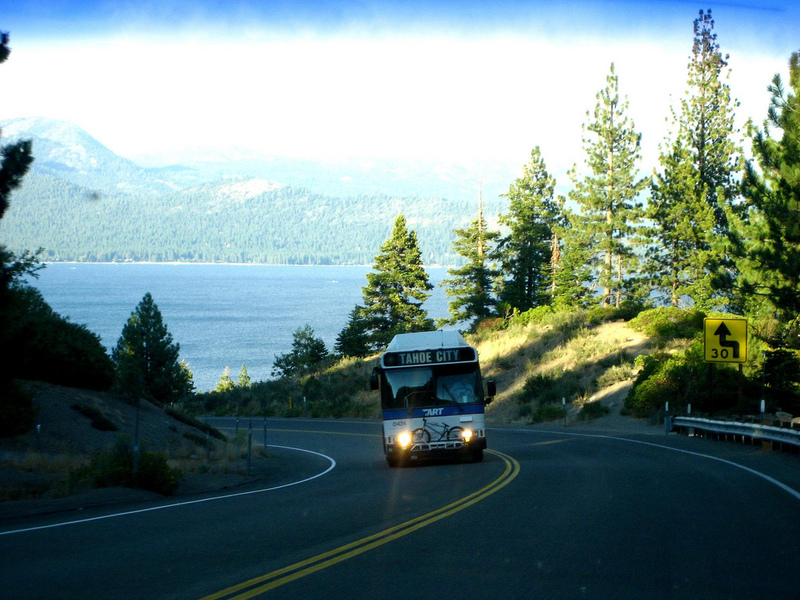 If this is the route you choose there are packages that are offered as well as plenty of taxicabs and bus routes available to all to arrive at downtown South Lake Tahoe. The nearest commercial flight touches down at Reno/Tahoe International Airport (RNO). There you can pick up a rental car from major companies such as Avis, Budget, Enterprise, or Hertz. There is also the option of public transit. 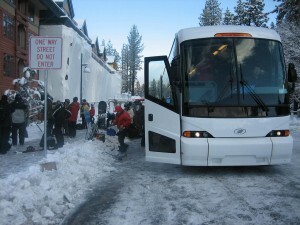 Although there is not a direct bus route from the Reno Tahoe International Airport to South Lake Tahoe, there are many shuttle services such as South Lake Tahoe Express that have direct routes to the South Lake Tahoe Area. For only $25 dollars a person you won’t have to worry about when to switch buses and all the hassle that comes with public transportation. This way you can get where you are going and still can relax, soaking up the vast lake as you cruise into South Lake Tahoe. Those who are looking for a more stylish ride can opt out of all of the above and rent a limo, which will also take you to the south side of the lake in the lap of luxury. Although planes are the fastest way to get to Tahoe if you are out of the country, it is always not the smartest to take if you are in the surrounding states. For a more local approach as well as a relaxing scenic view, the train offers both education and comfort as you cruise up to the state capitol of Sacramento using the Capitol Corridor train from Amtrak. This train can be taken anywhere from San Jose, or Oakland up to Sacramento. There one would get on the 3424 bus which drops you off at the foot of the Heavenly gondola and the steps to the Casinos of Stateline, Nevada. Although it is not a direct route this mode of transportation does not require any driving and the stressors that come with sitting in your car for hours on end. On the train they have a snack car and you can stand and stretch if you are at all feeling cramped or uncomfortable. This is a smart easy way to travel that only takes four to five hours, and lets the traveler sit back and relax with little to no worries. If you are traveling to South Lake Tahoe from the bay area there is also another option that is available to you. That is the “Skibus” shuttle. This is a round-trip bus with pickups scattered all around the bay with stops including San Jose, San Francisco, Pleasanton, Berkley, Walnut Creek, and San Rafael. The Skibus is perfect for the trip up to Tahoe, eliminating traffic, stress, gas money, and strain on your car. They provide two to three movies on the trip, snacks, red bull and hot coco to top it off. 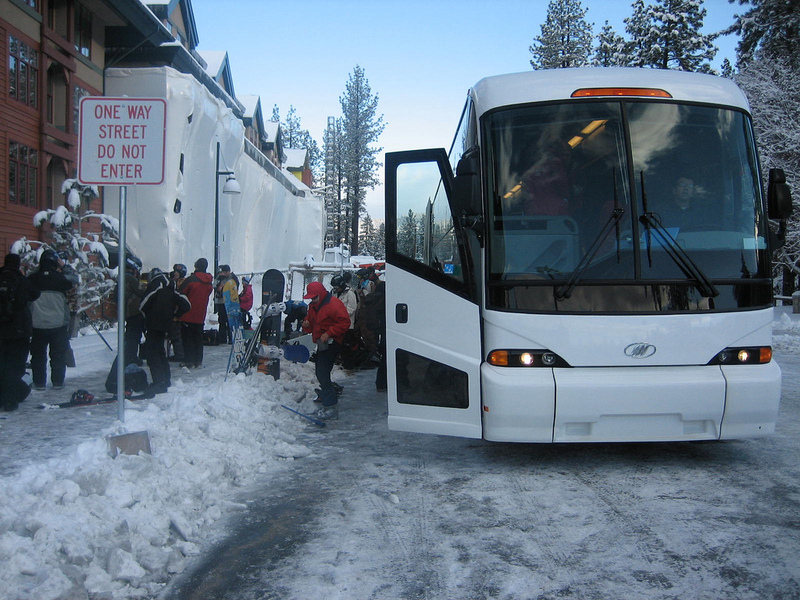 Servicing all the major resorts in the Lake Tahoe area the ski bus makes the round trip to skiing Lake Tahoe memorable, eco friendly, and fun. Unless you plan on riding your bike up to South Lake Tahoe the last way to travel would be by car, either your own or with a friend. 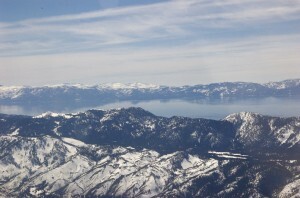 The five main routes that one could take to get to the Lake of the Sky are Reno, San Francisco, San Jose, Sacramento and Los Angeles. If you are traveling from Reno the one hour and thirty minute ride you will want to take Highway 395 south through Carson City and then west on Hwy 50 which will take you all the way to the Stateline. If you are coming from San Francisco the three hour and forty minute car ride that includes 198 miles you should take is I-80 East all the way to Sacramento where you will get on Hwy 50 East, all the way to South Lake Tahoe. 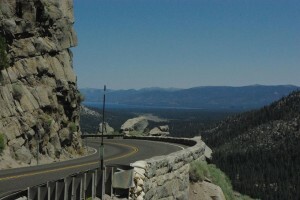 Take Hwy 50 East all the way to South Lake Tahoe. The other route to take if you are in the east bay and want to avoid the I-80 traffic on the holidays and major weekends is to take Hwy 680 North to Hwy 580 East then to Hwy 205 East. Take I-5 North to Sacramento and finally take Hwy 50 East through Placerville and arrive in South Lake Tahoe. 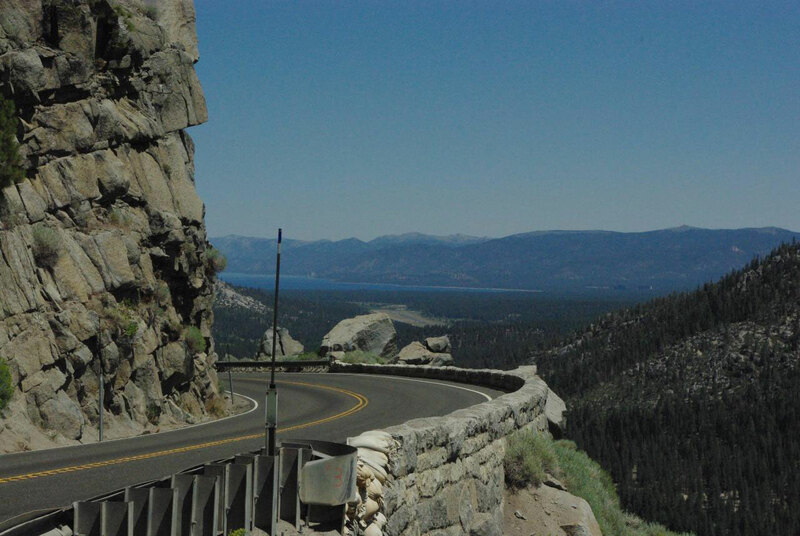 Those who are traveling from Sacramento, which is a short 100-mile cruise, should take Highway 50 East through Placerville and over Echo Summit to South Lake Tahoe. 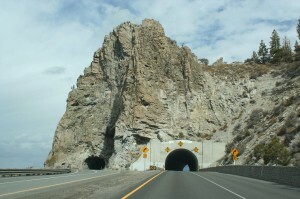 Those making the trip from Los Angeles can also choose from two routes. 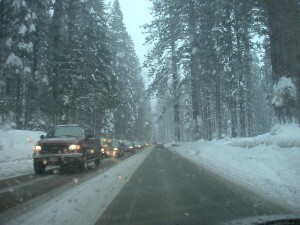 The first option is to Take I-5 North to Sacramento then get on Hwy 50 East to South Lake Tahoe. The other option is to Take Hwy 395 North to Minden/Gardnerville, Take Hwy 88 and go left to Centerville Lane and to Foothill (Hwy 206), Turn right to Kingsbury (Hwy 207) and stay on that until you get to South Shore. 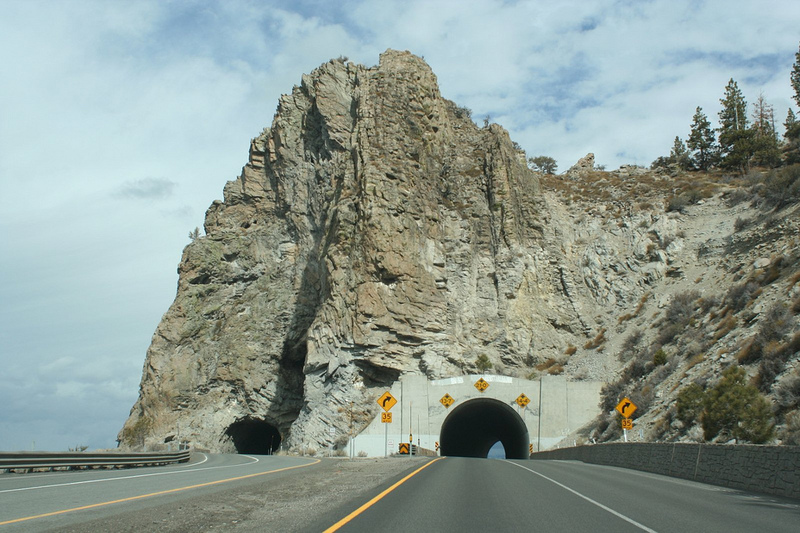 All those who tend to get nervous while driving should know that when driving on Hwy 50 east, that although there are beautiful, scenic, breath-taking views, there are also steep grades, narrow lanes and quick drop-offs. Those who feel that they are not comfortable or have not driven it before may want to take the alternate route all the way up I-80 and down Hwy 267 to the eastern side of the lake on Hwy 28 and finish through to Hwy 50 into South Lake. Although this may add another one to two hours on the trip it is always better to be safe than sorry, especially when the weather is less than satisfactory. Here are some numbers you can call to check on the weather when traveling to South Lake Tahoe. Some of the all weather Highways include 50 East over Echo Summit, 88 North from Stockton, 207 Over Kingsbury Grade, 395 to 50 West at Carson City, Interstate 80 East from Sacramento, 89 and 267 South from 80 and 431 Over Mount Rose from Reno. So whether you are traveling through chartered flights into Lake Tahoe Airport or flying commercial into Reno/Tahoe International be sure to check out the rental cars, public transportation, shuttles and limousines. For those who are traveling by train be sure to plan ahead and know where you need to make the transfer to the bus in Sacramento. Those who are driving should always be sure to check the weather and plan ahead with maps and knowledge of the surrounding weather. Although Lake Tahoe is one of the most beautiful places on the face of the earth it is easy to get lost in the scenic Sierra-Nevada’s. Make your trip to South Lake Tahoe a memorable one and when you get here we will see you on the lake or carving it up on the many ski slopes that draw thousands every year to Tahoe, the Lake of the Sky. Great article, will surely check out some of these alternatives. can you direct us to an online map of this route? just wondering if we will need chains this upcoming weekend – driving to south shore. never done the drive in winter, so how white knuckle driving is it especially around Emerald Bay? ?